Add practical elegance to your property with low-maintenance, high-strength ornamental iron fencing. 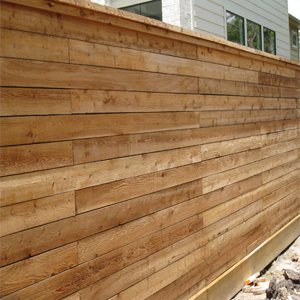 You can take pleasure in the unmatched warmth of a wooden fence in a traditional or modern style. Enjoy economical and long-lasting PVC vinyl fence enclosures. No painting or staining needed. For economy and security, there’s nothing better than a chain link (or cyclone) fence. Designed for your home or business, our handrails and staircases cannot be beat for style, safety, and quality. Our design and fabrication service can build a gate to fit your opening, whether you need a rolling gate, cantilever gate, swing gate, or double drive gate for your home or business. We can install a controlled access system designed for your business, with gate operators, keypads, swipe cards, and telephone entry. Whether you need a headstone cover, gate, steel door, escape latch, hall tree, table and chairs, window bars, or other decorative or practical steel item, we can manufacture it to your specifications.